Sadly, I have been so caught up with school work and other daily life stress that I have yet to carry this bag out, but nevertheless, I do plan on using it soon! It's super cute and I can't wait to show it off! The bag is a pretty nice size. It's a lot bigger than I envisioned, but that is okay because I have a lot to carry. I can see myself carrying this bag anywhere! 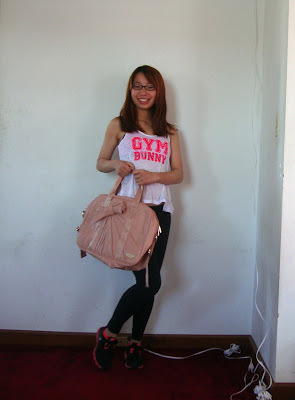 Cassey mentions that Ogorgeous bag can be used for multiple occasions (not just the gym!) I agree, especially since I don't belong to a gym! 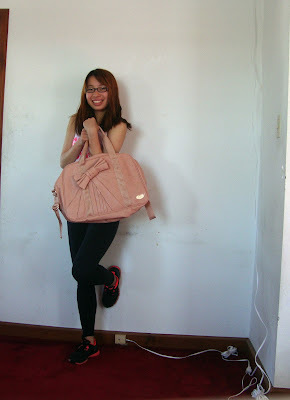 For me, this bag is perfect for carrying to school and even on an overnight trip! The bag has so much space inside for your items and it has compartments for literally everything including hidden pockets as well for important items or a yoga bag! 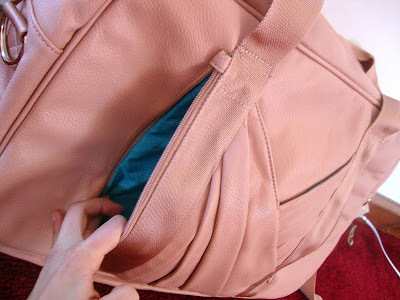 The "hidden pocket" to hold some small items or a yoga bag! A handy compartment for a laptop! Pockets to place electric chords/cards/ID's.. etc. 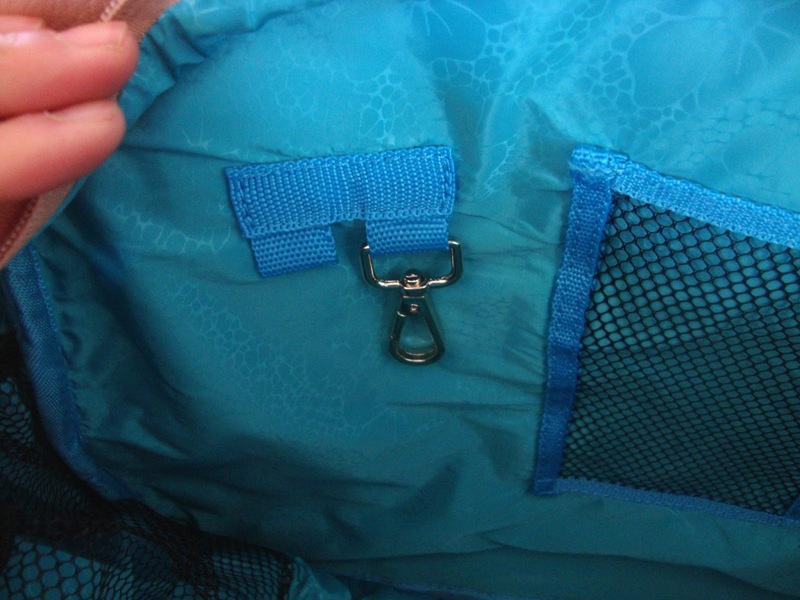 Mesh Pockets for your water bottle to stay hydrated! A little hook to lock your keys. I love the little key hook part that you see above! I am the type of person to always lose their keys. This hook makes it much harder for me to misplace them. 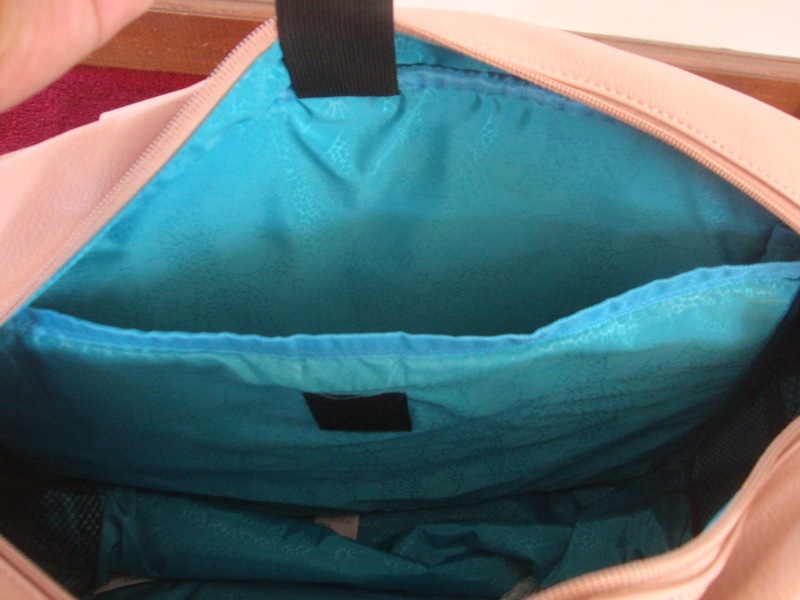 The inside of this bag, as you can tell, is a bright blue. I love this pop of color as it is kinda of like a surprise when you open the bag! When you buy from this gym bag from Ogorgeous, it also come along with a longer strap and a mini drawstring bag in a matching color! This bag is perfect for holding my *dirty* running shoes and I can place it into my gym bag without worrying about ruining the inside. This bag is also perfect if I am carrying any food with me. The drawstring bag will keep my food separate from the rest of the items keeping things neat and tidy. 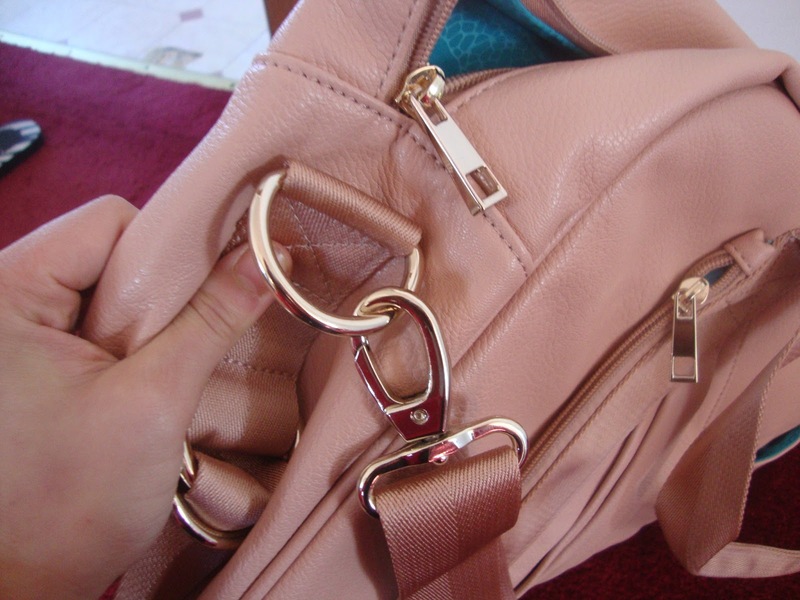 The longer strap that comes with the bag is a matching color to the outside of the bag. There are metal clasps as the end which easily can be attached to the side of the bag. 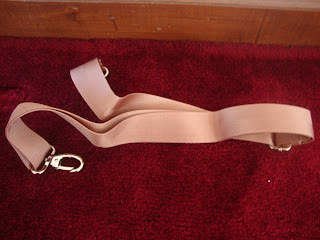 This extra strap is adjustable in length so it allows you to get whatever length strap you want. I know for me, I prefer a longer strap. 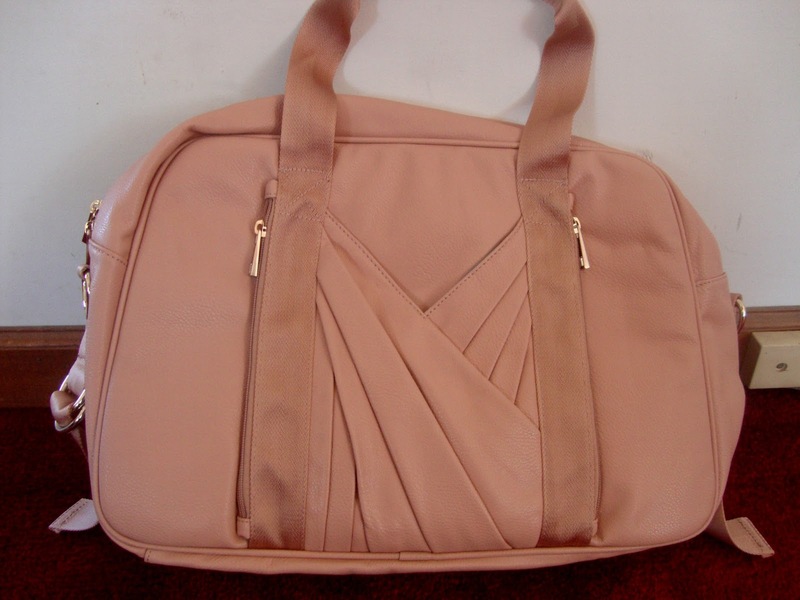 With this bag, I don't have to worry about breaking the straps since they are super strong and made of vegan leather. (which is a durable material that was made without harming animals!) The material of the bag is defitnately strong enough for me to hold everything I need in my daily life including two water bottles! That is going to be super handy when it is +90 degrees out. I get pretty thirsty in the summer especially after a workout! 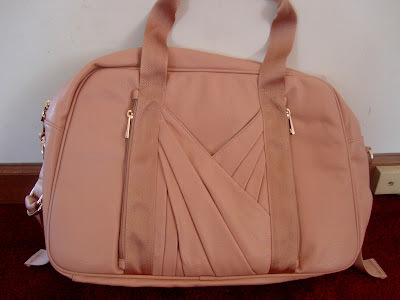 Overall, my new Ogorgeous bag is fabulous! 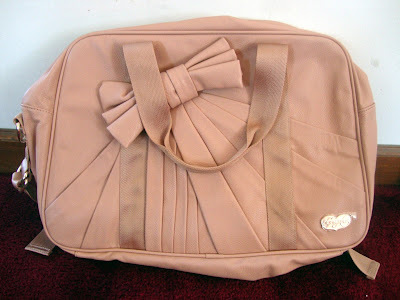 I love everything about it and I have no complaints except that I need to start using the bag and showing it off! I think I am in love with it!! I had my eyes on this bag every since it came out and now that I have it, I am ecstatic! 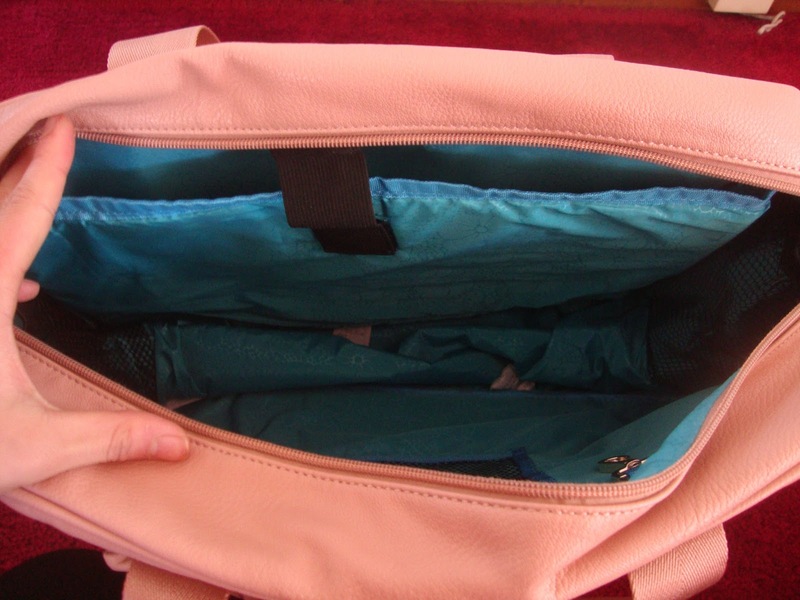 How do you carry your items around everyday whether that be work, school, or the gym? 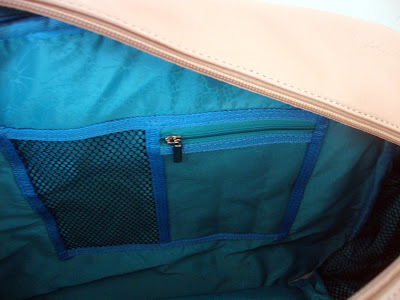 Great review, I love totes when need to carry lots of stuff. thanks! me too!! I often have a lot to carry too haha! That bag is AWESOME. I wish I had one, now. It is a bit big which is PERFECT for when I'm carting a bunch of stuff to my colorguard rehearsals or dance practices. I agree!!! 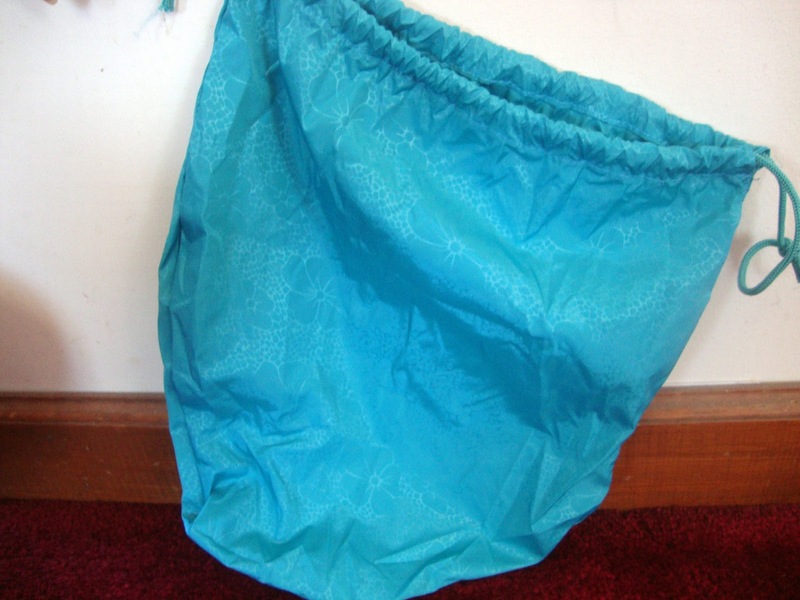 It would look beautiful as a dance bag! Thank you for your comment on my blog :) I follow you back. What a lovely purse! I can't believe it's a gym bag! haha thanks! It can be used for other things if you want!! Oh my gosh I want that purse! Super cute! This bag is adorable! I love the removable strap! I am so excited to follow you! Thank you! I love pastels too which is why I chose this bag ! Yes I am following you now too! wow it's super cute and looks like it could be used when you go on a trip too! Yup it can! I am in love! Thank you so much! Ohh love those abs! Thank you! I love the bag so much! Lovely gym bag !!!!!!!!!!! so cute ! haha! That is super cute! I love your comment and I agree! Who wouldn't want to work out with this bag? Aw, that is cool bag! Thank you so much and we should follow! I was thinking about this bag and could not decide if I should buy it but it looks pretty cool so maybe I will give it a try. Thanks for the information. Your have a lovely blog by the way and I am a new follower on GFC and Bloglovin! Hope you will like my blog and follow back! Thank you so much and I will follow you! The bag is so worth it! Inspiration to workout! Thanks for a very nice comment, dear! Hi Mindy, cool blog!! And the bag is very nice. oh good effort! tks for ur visit sweetie and followed u back on GFC.. Thank you and I agree! I don't to end smelling funky so thank goodness for this bag! Thank you for following, i am now following back. 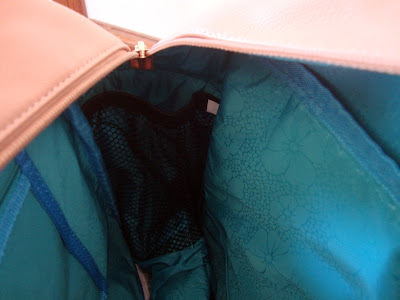 Your bag is Oh so gorgeous, i love the color of the inside liner. way nice! Thank you! The inner part is amazing!! Thank you so much! I will follow you too! Thank you! Bows are my favorite! Hi! Just came across your review! How is your bag trading you? Are you still using it at the gym? I just got my pleated pocked carry all in black… I love but I'm wondering if the bag lasted you long… any feedback would be appreciated.